When Lara Croft (Alicia Vikander) goes in search of what happened to her father (Dominic West), who’s been missing (presumed dead) for seven years, she ends up on a mysterious island run by mercenaries led by Vogel (Walton Goggins). Tomb Raider is the latest adaptation of the video game series of the same name. I’ve not played any of the Tomb Raider games since the late 1990s but from my understanding, this film is an adaptation of the rebooted video game franchise, wherein it’s more dark and gritty and grounded in reality. 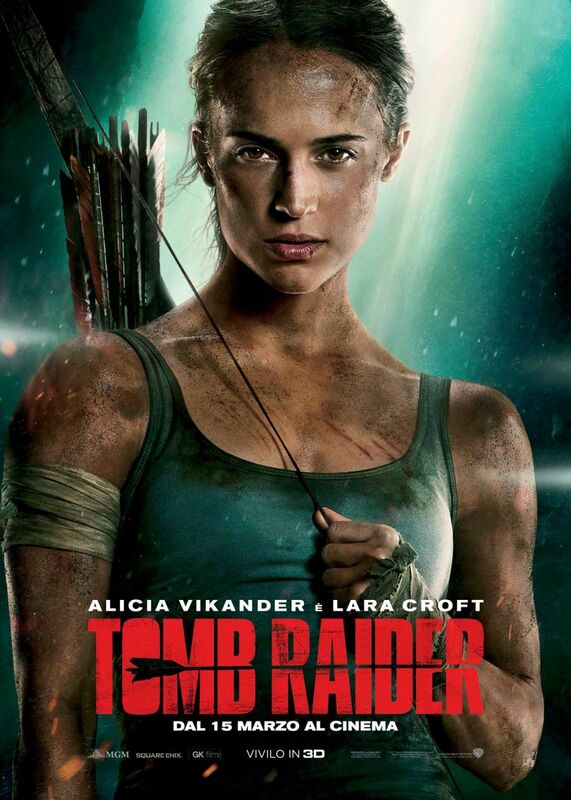 We meet Lara Croft in this film as she’s striving to be independent and won’t except her father’s death. She’s a normal young woman (though admittedly one who is fitter than most) so seeing her be pushed to her emotional and physical limits as she struggles to discover the truth is great. Lara is capable but she’s also hurting, Vikander plays her complexities brilliantly. Throughout the film you could tell Vikander was doing the majority of her stunts and fights, adding to the excitement. Once Lara arrives on the island the pace of the film slows down a bit, relying more on the intrigue of what Vogel’s looking for than fast-paced action. That’s not to say there aren’t any action sequences on the island. The sequence with the rusty plane is tense and thrilling, with Lara herself referring to the fact that everything seems to keep getting worse for her. This, amongst other reasons, makes Lara a character you root for. The thing in the tomb that Vogel and his employer are looking for is a bit on the far-fetched but all the boobytraps are a joy to watch unfold. Also, Vogel’s motivations aren’t that clear and he and his men aren’t fleshed-out villains. There could’ve been any bad guy really, as this was Lara’s, and Vikander’s, movie and time to shine. While it almost feels strange to hope for a franchise in this day and age, I really hope Tomb Raider is the start of a franchise. Alicia Vikander was a great Lara Croft and as Tomb Raider is Lara’s origin story, it would be great to see Vikander’s Lara go on a proper adventure of her own choosing. 4/5.